Enjoy this Sarasota & Manatee Counties Real Estate Market Report for this month. You can also do a home search and save your favorite properties. Set up a search and be alerted as soon as a matching property hits our database. It’s Exclusive. 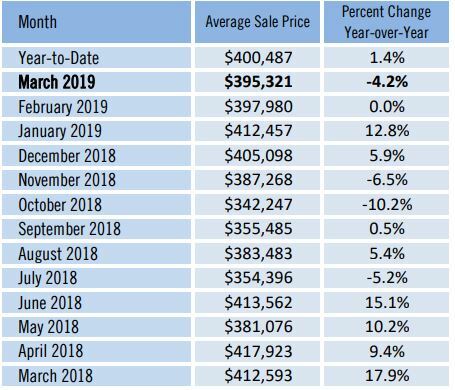 Here’s a look at the Sarasota & Manatee Counties’ Real Estate Market for April 2019. According to statistics from the REALTOR® Association of Sarasota and Manatee, the number of new listings in both counties dropped when compared year-over-year. Read more about this month’s real estate market trends. April began with a median sale price for single-family homes of $285,000 in Sarasota County. This amount shows a decrease of 0.7 percent from the $287,000 recorded this same time last year. The average sale price is $395,321, which shows a 4.2 percent decrease from the $412,593 last year. If you are thinking of selling and wonder how much your house might sell for in today’s Sarasota & Manatee Counties Real Estate Market, use this instant home value estimate or call 941-313-1234. Here are the most recent home listings just added to the database in the average sale price range, as reported in this month’s real estate market report, for Sarasota County. All homes are priced at $395,321 or less. 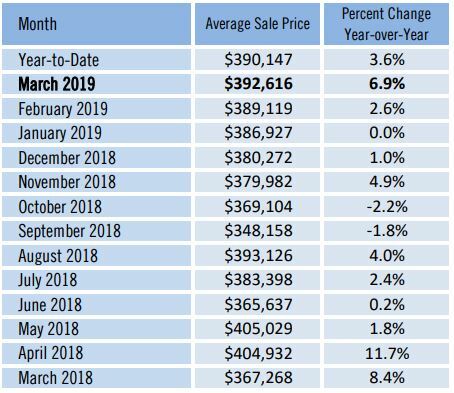 Here are the most recent home listings just added to the database in the average sale price range, as reported in this month’s real estate market report, for Manatee County. All homes are priced at $392,616 or less. 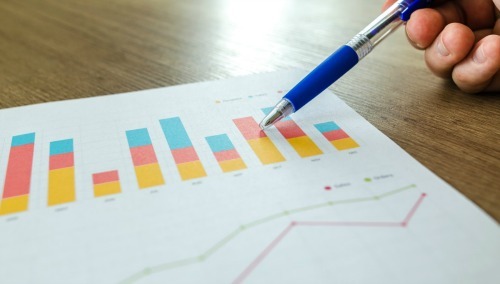 Learn more about Sarasota & Manatee Counties' real estate market report this month of 2019 with current statistics including average sale price for homes.